Mario's least popular game by logic. People protested penalties for making mistakes. There are two unused songs, but their purpose here is not clear. All songs can be heard at the Select-A-Data Screen using Pro Action Replay code C02B79?? (where "??" is one of the below). All songs have looped/non-looping versions, and subtracting or adding 40 from the current song's value will play them. 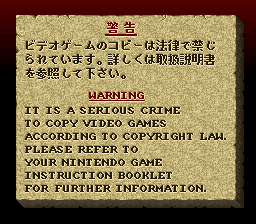 Use Pro Action Replay code 7E119C0E or ROM address C021B20E at the title screen. Songs 07 and 0B are unused. 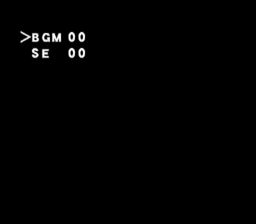 Pressing Up or Down will toggle between BGM/SF. Left or Right will select the song/sfx number, A plays music and B or X will play the currently selected sound effect. Y will restart the song. Song number 19 is the last song before silence or crashing the APU. 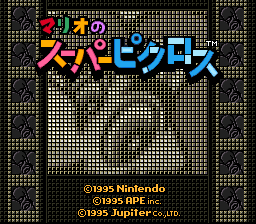 Use Pro Action Replay code 7E119C0F or ROM address C021B20F at the title screen. All progress will be lost if you choose to erase. Not used, however, individual save files can be erased in-game by pressing A + B + Select on the highlighted file. Present throughout the ROM are various messages. At 0xD244 is the name of the main programmer. This next one is at 0xE332 and 0xE56E. Another message is present at 0xE6FC and 0xE776. Build information is present at 0xE0003. 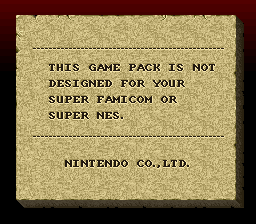 While Mario no Super Picross wasn't released outside of Japan, Nintendo really didn't want anyone else to play the game, slapping PAL would-be players with various error messages. Copiers were obviously not intended to play the game, the above screen just shows. 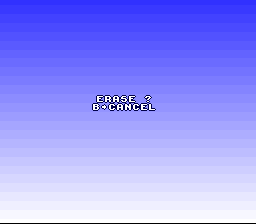 Attempting to play the game with a PAL-territory SNES throws up this error screen upon booting, complete with frizzle-in effects. Nintendo planned to release Super Picross internationally, but scrapped them due to poor reception from Mario's Picross, making this screen appear a bit awkward. This page was last modified on 10 February 2019, at 08:32.